In recent years it seems the world has become obsessed with mythical creatures and all that glitters. Unicorns and mermaids are at the forefront of this obsession. Every retail shop you enter you are bound to see something that has either a unicorn or mermaid on. Even with hair and beauty - mermaid hair has become a huge hit. The world has gone mythical mad! I'm not a huge fan of either of these, but I'm not going to lie, whenever I was a child and I went swimming, I would most definitely pretend I was a mermaid and swim about with my stepsisters all day long. For those who still would love the chance to become a mermaid, there is hope. 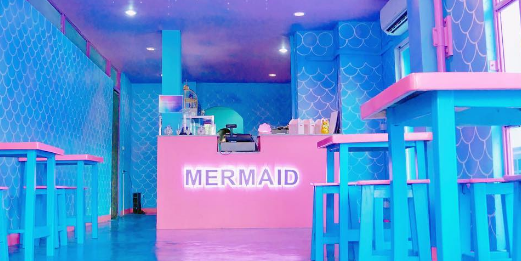 You could visit, Mermaid Island Cafe, the mermaid-inspired dessert cafe of your dreams and revel in all things mermaid. The only problem, it's all the way in Pathum Thani, Thailand. So what makes this cafe so special? 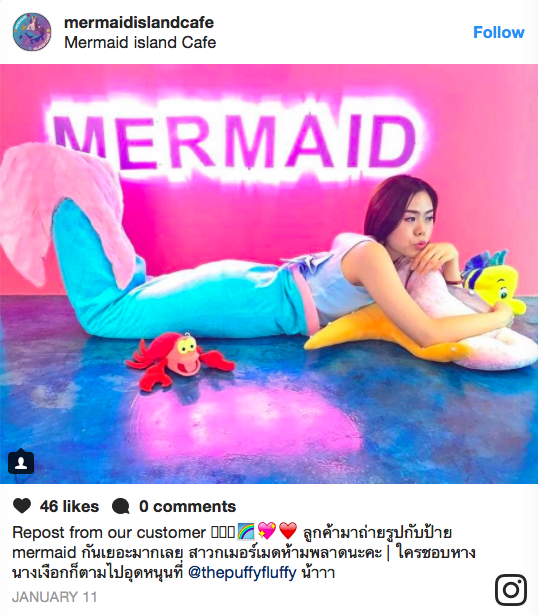 Well, as soon as you enter the shop you're presented with your very own mermaid tail to wear as you make your way through the ocean-themed cafe. And if that wasn't enough, just wait until you see the menu. 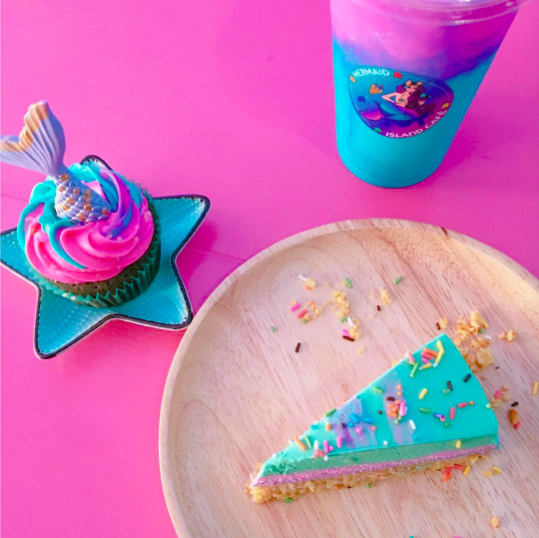 Just as colourful as the room itself, the menu is full of mermaid inspired deliciousness - rainbow waffles, slushy drinks and mermaid tail cupcakes! This place has thought about it all! And we can only image the popularity, what will all the students that make their way across the world to the island post university. The aesthetic is everything and we want to go NOW!